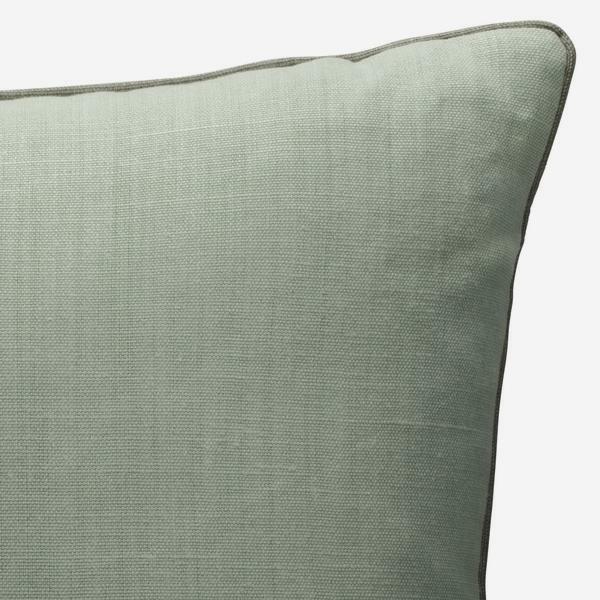 A smart, Eau de Nil glazed linen cushion with taupe piping to add elegance and sophistication to any scheme. 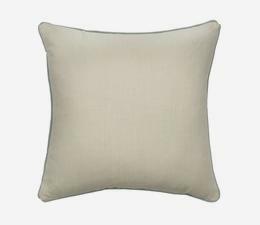 Handmade in the UK and filled with sustainably sourced duck feather and down for a perfectly plump feel. 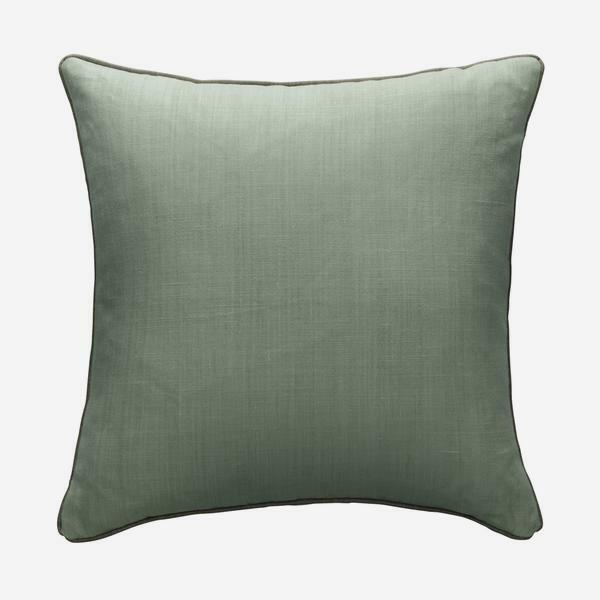 Cushion pad included.